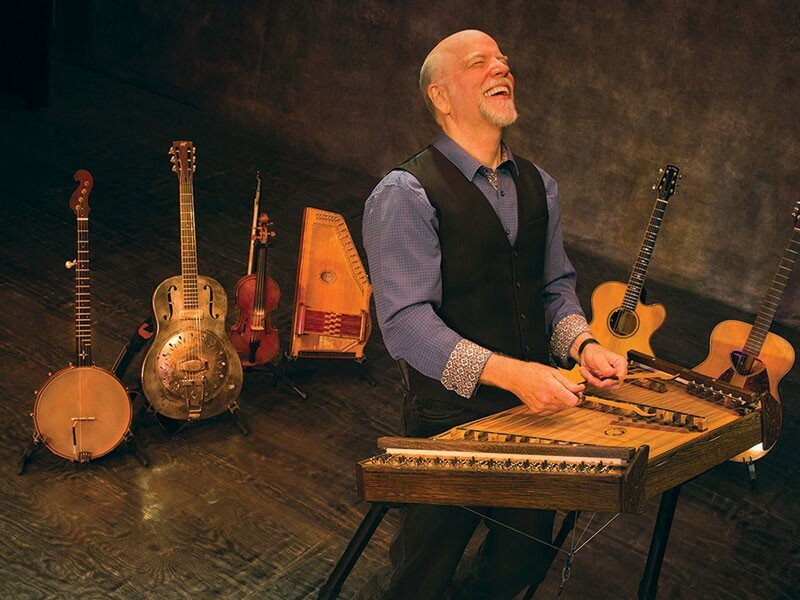 John McCutcheon performs Monday, Jan. 8, at Sebastiani Theatre, 476 First St. E., Sonoma. 7:30pm. $25. 707.996.9756. STORYTELLER Though CDs don’t sell much anymore, John McCutcheon continues to release new material. Folk songwriter and multi-instrumentalist John McCutcheon cannot keep himself from singing. Since 1975, McCutcheon has written, produced and put out a staggering 39 albums, and his latest, Ghost Light, is slated for release in early February. "I had not planned on making [another] album this year," says McCutcheon, whose last album, Trolling for Dreams, was released in early 2017 to some of his best reviews. McCutcheon's thought-provoking and socially conscious approach to storytelling music continues with Ghost Light, written last spring after McCutcheon led a songwriting camp. "In the closing of camp, people wanted to know how we keep this up," says McCutcheon, referring to the inspiration to write music such as they produced in the camp's setting. In response, McCutcheon shared the story of Vedran Smailovi, known as the "Cellist of Sarajevo," who, in 1992, performed a piece of music every day for 22 days in a bombed-out downtown Sarajevo marketplace after a mortar round killed 22 people there during the Bosnian War. "It was a vigil, it was a defiant thumb in the eye of the violence surrounding him," says McCutcheon. "This is what musicians can do, and must do, in fact. So if you want an exercise, honor that. Sit down and make music every day." McCutcheon took his own advice, and on May 27 last year, the 25th anniversary of that bombing, he began a daily songwriting exercise. Ghost Light is the result, and the 13 songs that make up the album are some of McCutcheon's most revealing and heart-wrenching tales yet. Songs like "Burley Coulter at the Bank" and "She Just Dances" examine seemingly mundane events that relate larger ideas of loss or joy in their presentation. McCutcheon's penchant for activist songs comes through in tracks like "The Machine," which addresses the rise of white nationalism in the U.S. over the last year through the perspective of a WWII veteran and references "This Machine Kills Fascists," a message that Woody Guthrie wrote on his guitar in 1941. Ghost Light also features a collaboration of sorts with Guthrie, as McCutcheon transformed 10 lines of unused lyrics from Guthrie's archives into the song "When My Fight for Life Is Over." McCutcheon calls himself an anachronism for his prolific output, but he has no plans of slowing down any time soon. "In this world where people don't buy CDs anymore, I'm putting out these things still believing in the power of a group of songs, telling a story, that's greater than the sum of its parts."